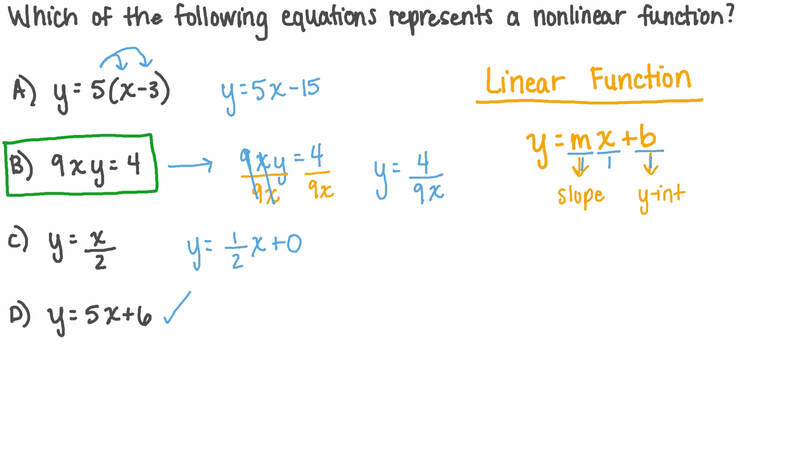 In this lesson, we will learn how to determine whether a function is linear or nonlinear. 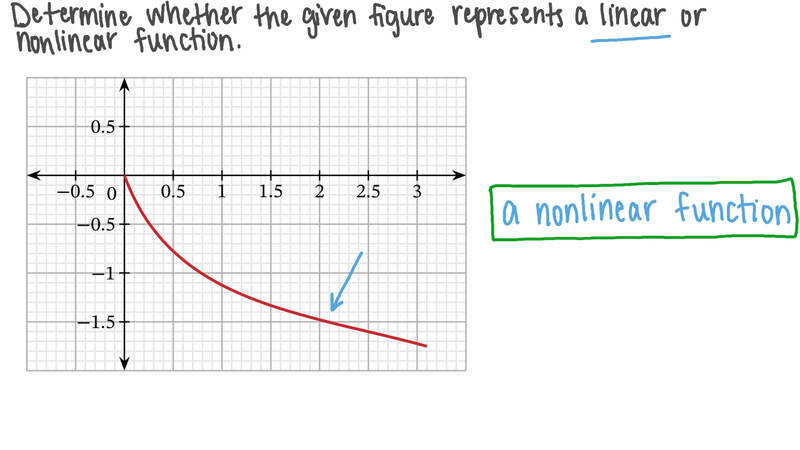 Determine whether the given figure represents a linear or nonlinear function. Determine whether the table below represents a linear or nonlinear function. Which of the following equations represents a nonlinear function? Which of these functions is not linear? 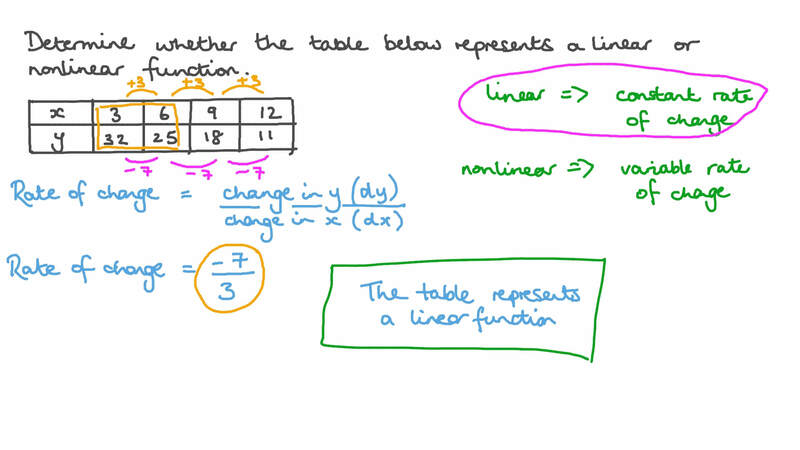 Determine whether the given table represents a linear or nonlinear function. AIt could be from a linear function. BIt must be from a nonlinear function. Is 𝑦 = 2 𝑥 + 8 a linear function? Could the following table of values be from a linear function? The table below shows the measures of the heights and bases of several triangles. Are the heights of the triangles a linear function of the bases? After graphing the function 2 𝑦 = 2 𝑥 + 2 𝑥 𝑥 + 𝑥 − 8 𝑥 5 2 4 , determine whether it is a linear or a nonlinear function. BIt is a linear function. Determine whether the function 𝑦 = 𝑥 + 2 𝑥 + 1 2 is a linear or nonlinear function. Is this a graph of a linear or a nonlinear function? Does the equation 𝑦 = − 8 𝑥 represent a linear or a nonlinear function? Determine whether the function 𝑦 = 𝑥 + 8 3 is a linear or nonlinear function. Is any cubic function a nonlinear function?